Attendees descend into the canyon at Westcave Discovery Center. 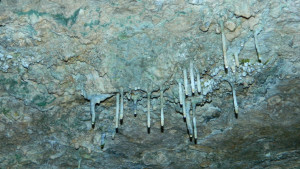 Tiny stalactites hang overhead inside Westcave. 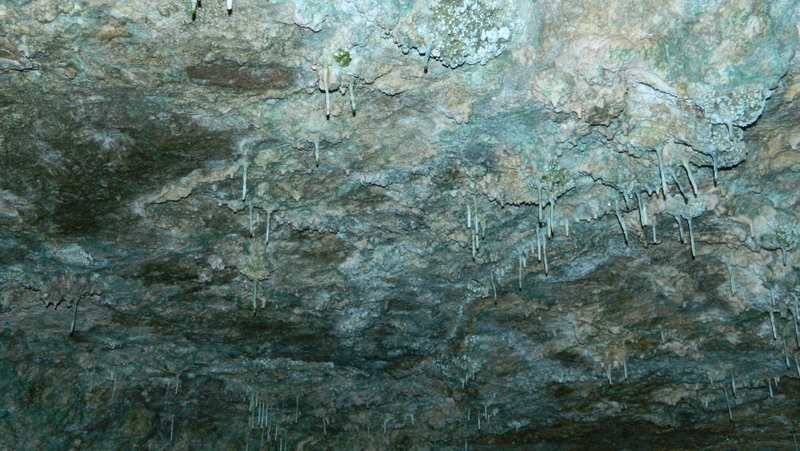 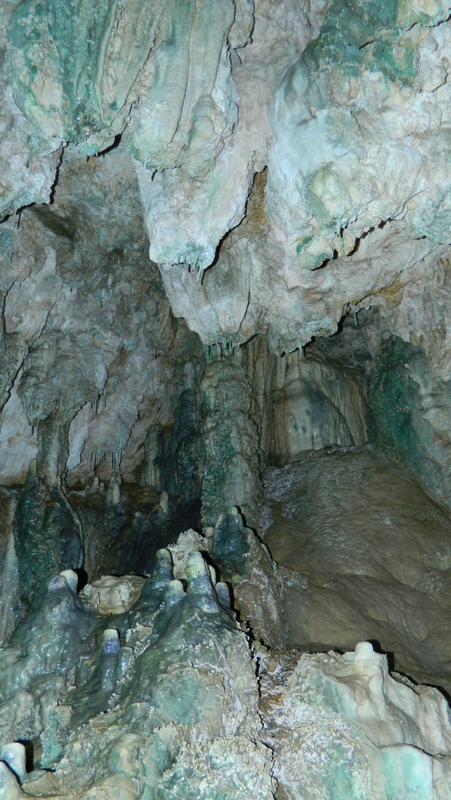 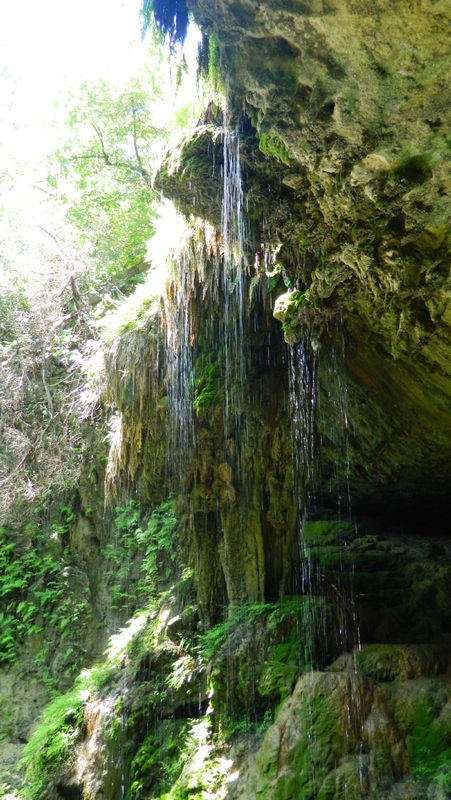 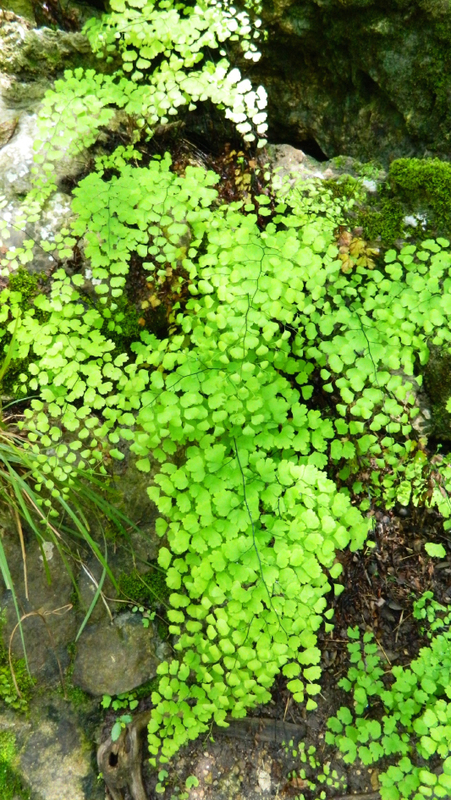 A close-up view of the dripping water that forms stalactites. The grotto falls at Westcave. 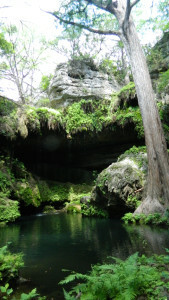 Pool and view of Westcave from the trail. 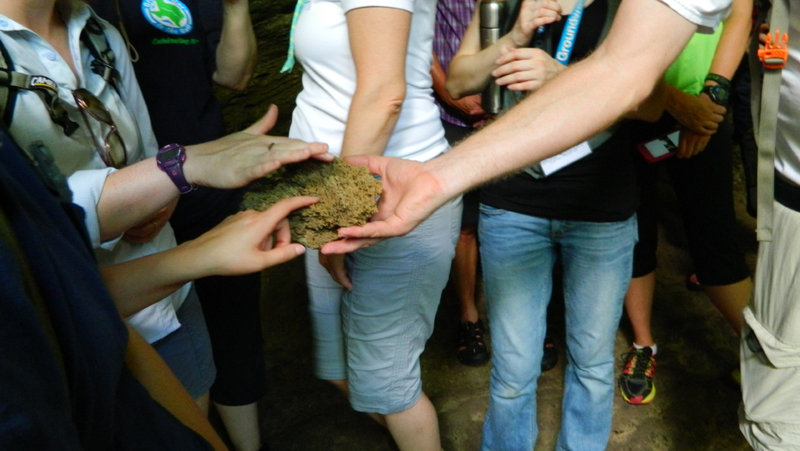 Touching petrified moss at Westcave Discovery Center. 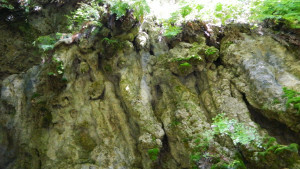 Travertine deposits at Westcave Discovery Center. 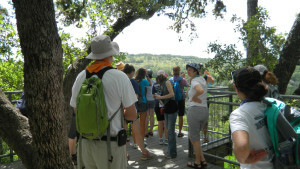 Overlooking the Pedernales River with our guide from Westcave Discovery Center. 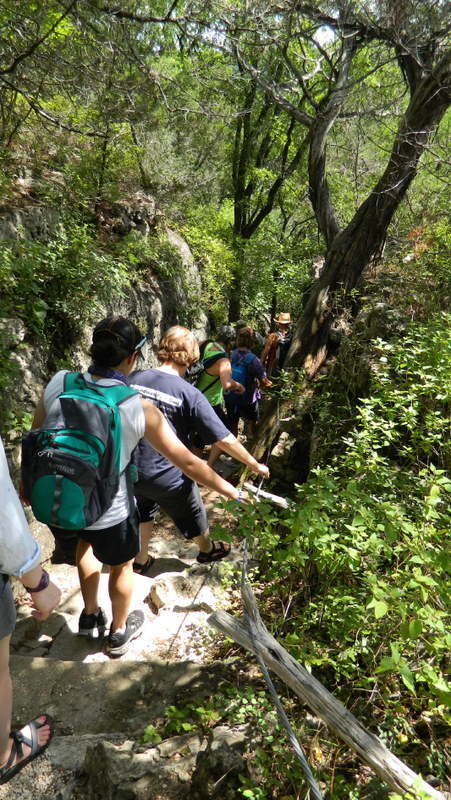 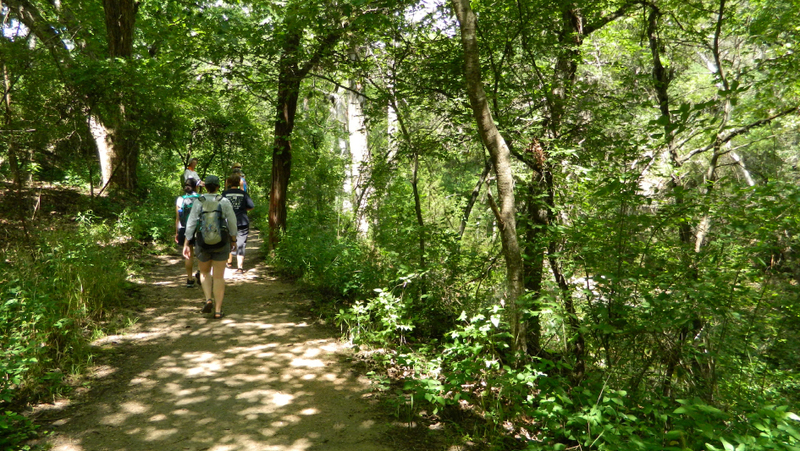 Hiking the trail to Westcave with educators attending Groundwater to the Gulf. 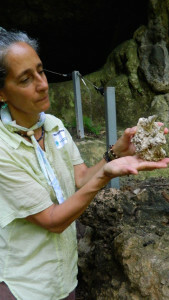 Discovering fossils and limestone deposits on the trail during the 10th annual Groundwater to the Gulf. 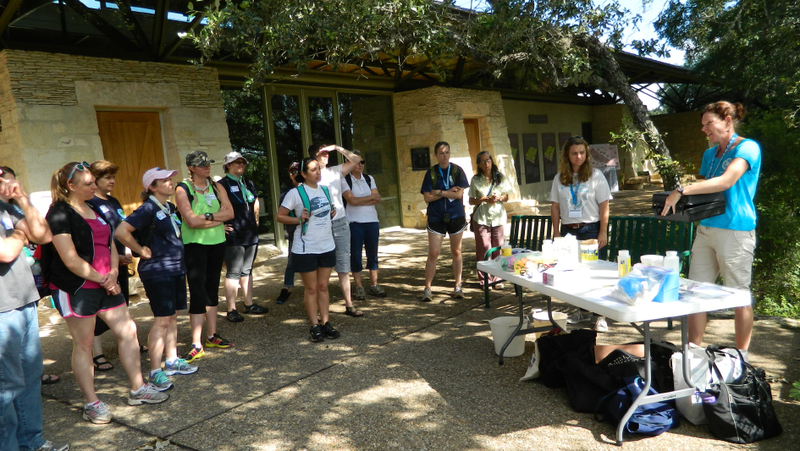 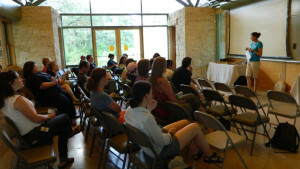 Groundwater to the Gulf 2015. Water quality testing workshop. 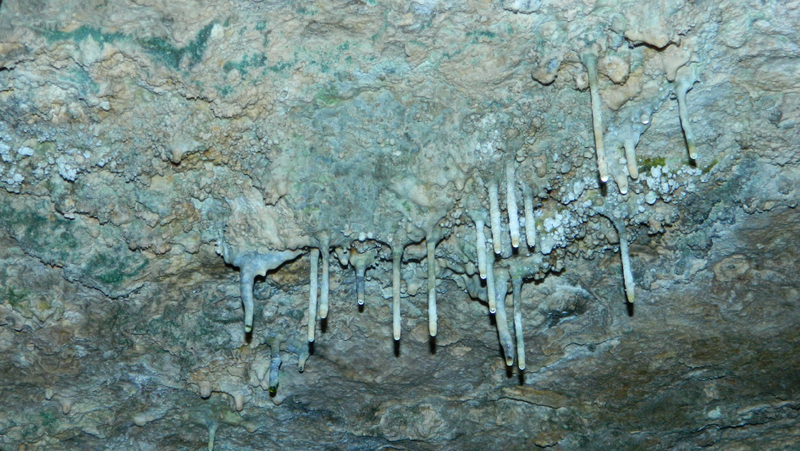 Stalactites and Stalagmites at Westcave.